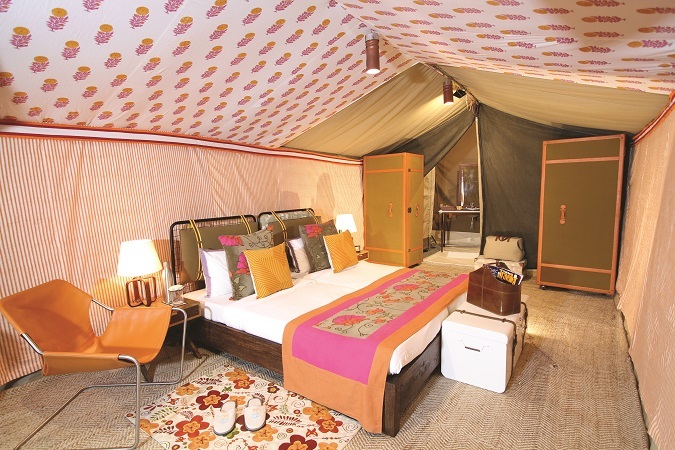 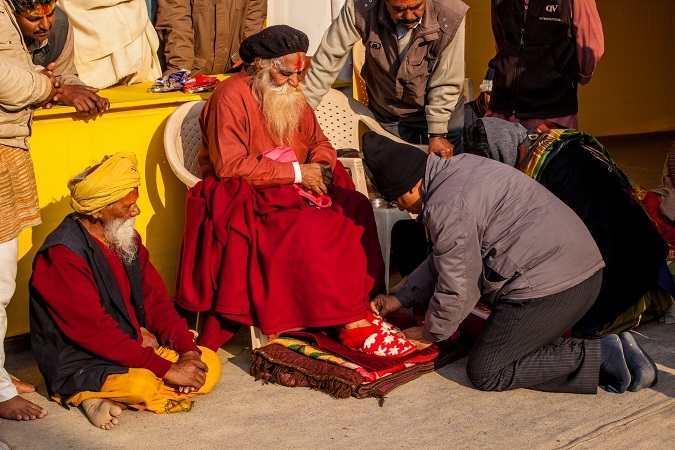 Sangam Nivas camp is only available during the Kumbh Mela Festival: 10th of January - 6th of March 2019. 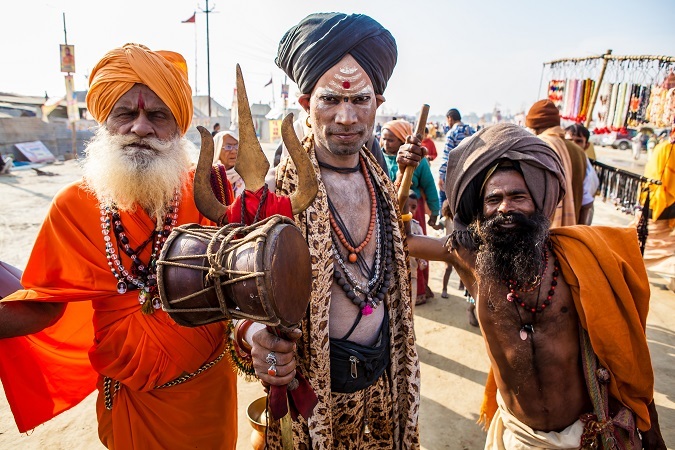 The Kumbh Mela Festival is one of the world's largest spiritual gatherings, and part of UNESCO's Representative List of the Intangible Culture of Humanity. 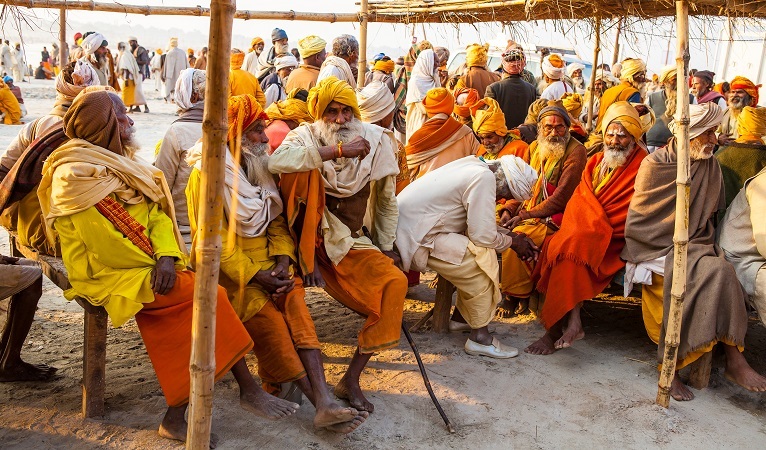 This mass Hindu pilgrimage culminates in ritual immersions in the holy river Ganges over a number of auspicious bathing dates. 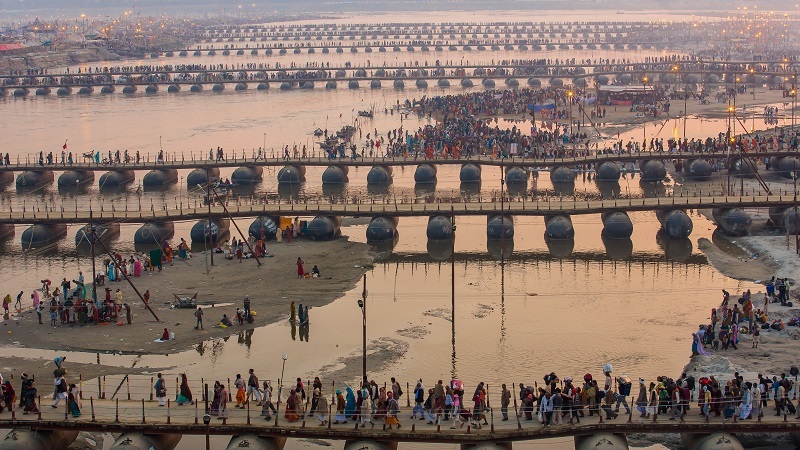 The 2019 Kumbh will take place in Allahabad at the Sangam where three holy rivers converge. 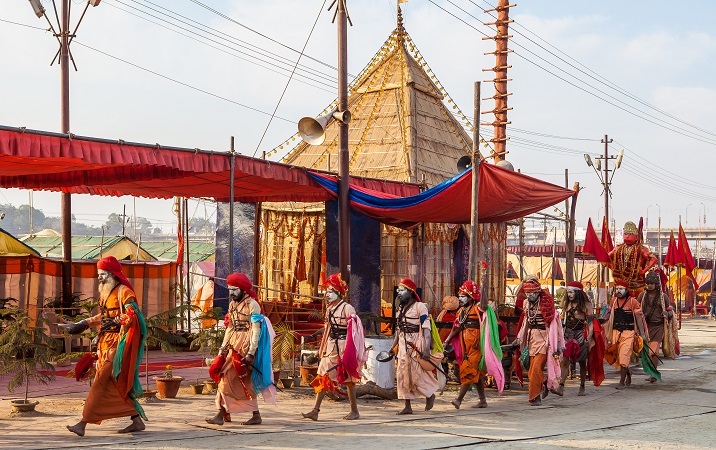 Positioned at the highest point of the Kumbh Mela, Sangam Nivas offers the perfect vantage point for guests to observe and soak in the atmosphere of the Kumbh. 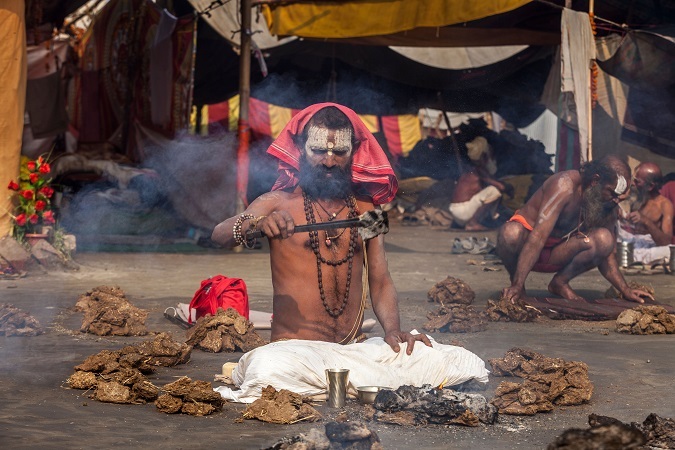 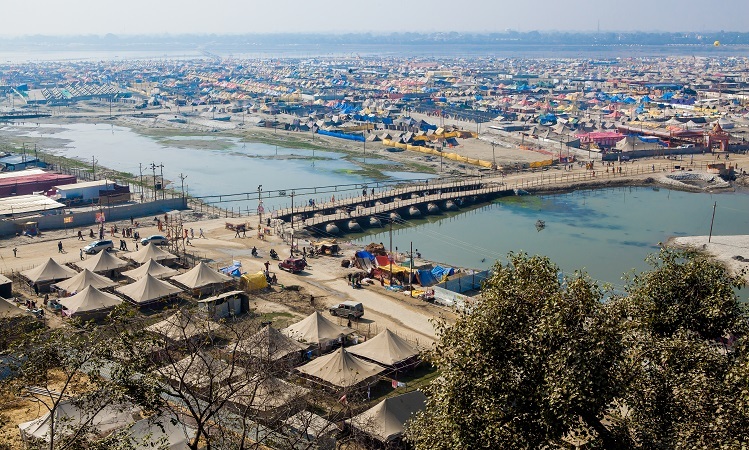 The camp is directly in line with the Sangam, the main bathing area and overlooks the Akharas of the sadhus, religious communities and seers.The Sangam Nivas Ultimate Travelling Camp is a unique way to see and understand this festival - by being amongst the fabric of Kumbh Mela. 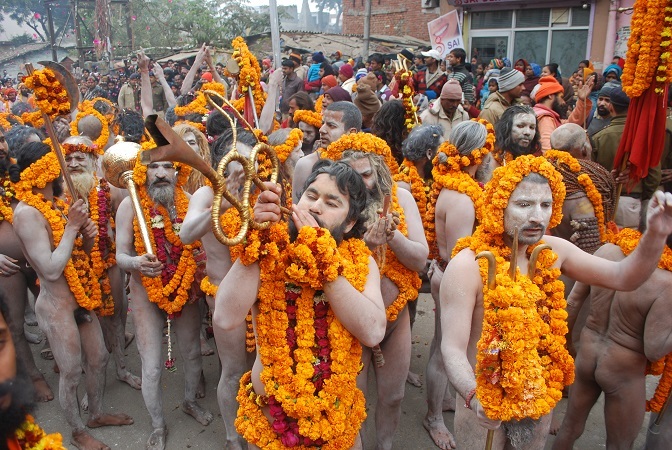 Witness the naga sadhus and throngs of devotees display their paramount vigor as they take a holy dip in the freezing waters, with the sole purpose of surrender to the almighty and seeking nirvana. 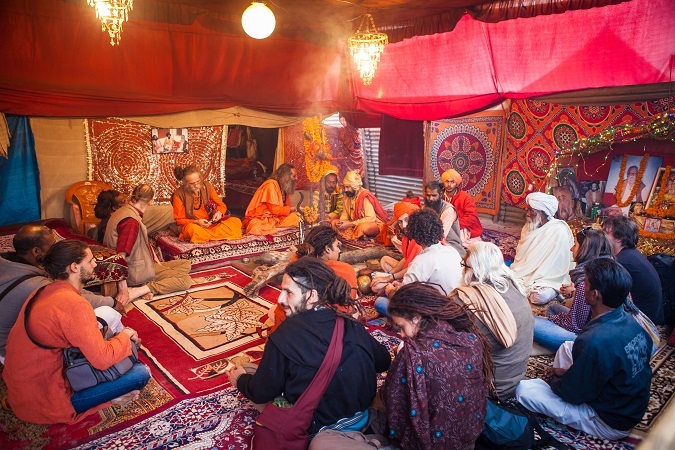 During the camp you will be led through the festivities by a local expert, have the option to partake in the spiritual side of the festival through wellness therapies and even attend interactive sessions with an acharya (a religious leader). 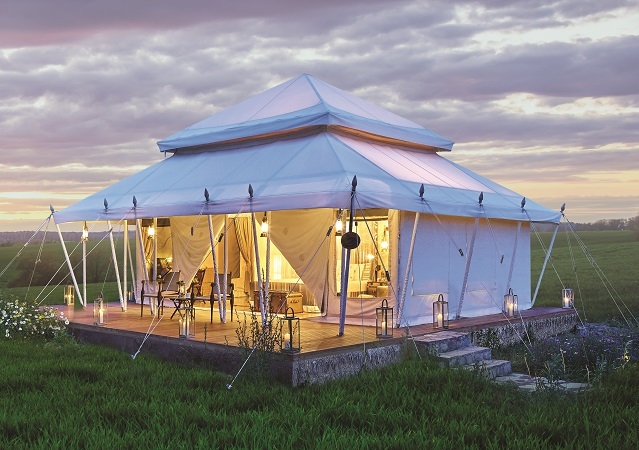 You will enjoy all of this from the comfort of your luxury (or super luxury!) 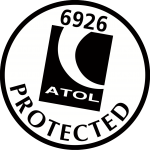 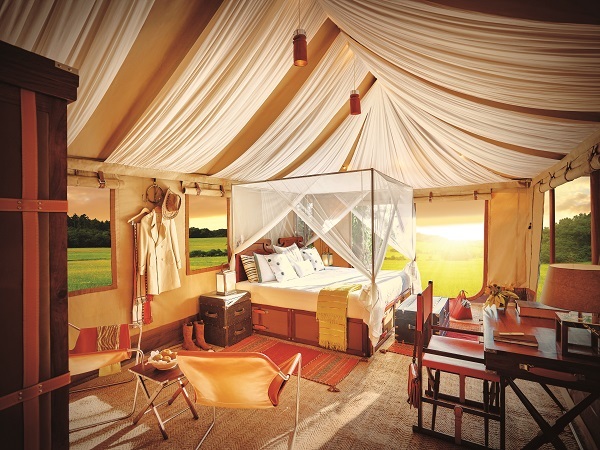 tented accommodation with en suite facilities and delicious vegetarian meals provided. 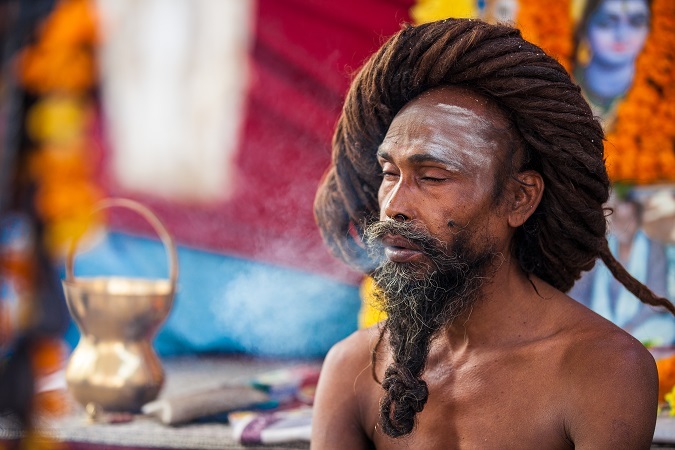 Please note, as the Kumbh Mela is a spiritual gathering, consumption of non-vegetarian food and alcohol is strictly prohibited and will not be allowed on the premises of Sangam Nivas. 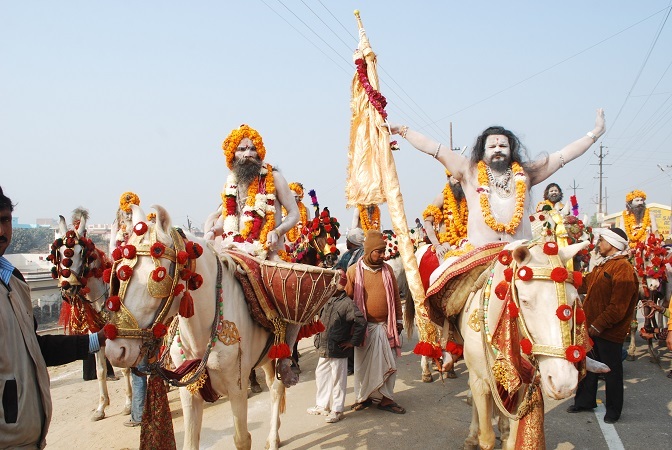 This is a truly exceptional opportunity to experience one of the true bounties of human culture in India. 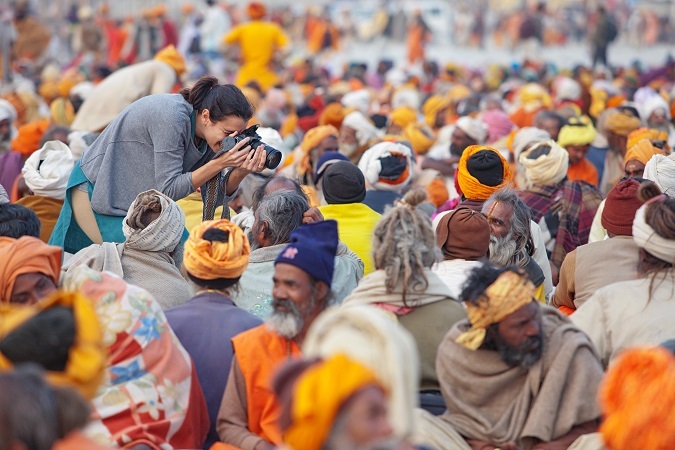 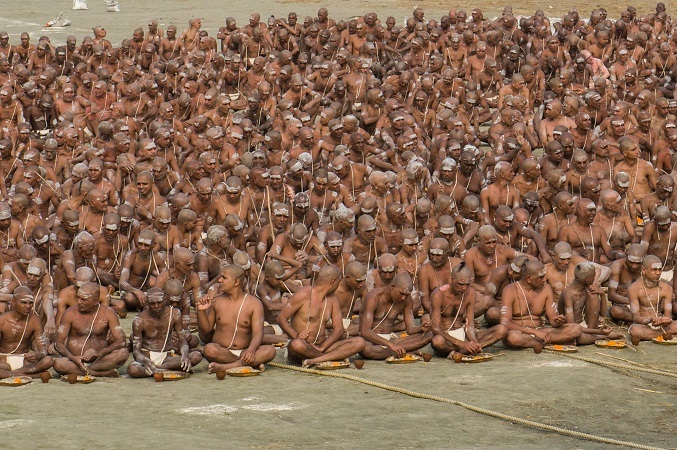 Tourist photographing sadhus (holy men) at Maha Kumbh Mela, the largest Hindu festival in India.